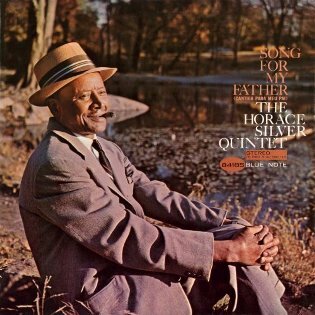 Without a doubt “Song for My Father” is the most well-known composition and performance of Horace Silver’s illustrious career. For Father’s Day, I’m not going to say much. I’ll just let Mr. Silver have the floor. First, in the famous studio version and then in an excellent live take from 1968, when Silver’s working group included Billy Cobham, Bill Hardman and Bennie Maupin. Nothing else to say here but Happy Father’s Day to my fellow Dads! Hope that your day was a great one. This entry was posted on June 15, 2014 at 11:18 pm and is filed under Video Vault with tags Bennie Maupin., Bill Hardman, Billy Cobham, father's day, horace silver, song for my father. You can follow any responses to this entry through the RSS 2.0 feed. You can leave a response, or trackback from your own site. Never tire listen to Song for My Father — appropriate post for Father’s Day. Thank you. I featured your remarks in a post I did today . . . I loved Horace Silver. Thanks for sharing the live performance of SFMF . . . which I’d never seen.